The body-building world has lost another great icon. Douglas Manning Beaver succumbed to heart failure March 1, 2016 in Marion Ohio. He was 73. Beaver, most noted for capturing the Mr. America title in 1976 and his unequaled development of his massive arms, had been in ill health for sometime. Born in Ohio, Beaver got into body building at age 11 when he was inspired by fitness magazines. He began by doing his all-time favorite exercise, chin ups, with 10 sets of 10 reps every day. He ordered a $20, 110 lb. set of weights and worked out in his basement; then progressed to the YMCA weight room from there. Beaver was on the wrestling team in high school, played football at Heidelberg College in Ohio, and was on the wrestling team in the army while stationed in Schofield, Hawaii, and Thailand. 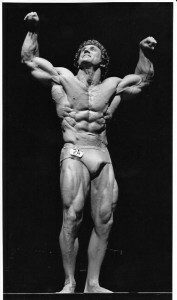 His work within the body building industry spanned 20 years of National and International competition, during which he was awarded title of Mr. Midwest, Mr. Texas, was recognized for best arms in the history of bodybuilding and won Most Muscular in all subdivisions of contests. He obtained additional recognition for his many Fitness magazine articles on workout routines and diet regimens. 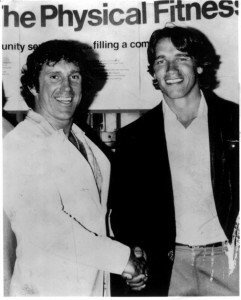 He served as general manager for Europa Health Clubs in Orlando Florida, and vice president for the Jack La Lane International Health Centers in Torrance, California working with owner Wynn Paris, and in Houston, Texas with Beaver opening his own health club called Fitness Connection. Aside from his great physical accomplishments, Beaver was generous to a fault; he gave away every dime he ever made. Gentle, patient and forgiving, he always wore a smile, kept a great attitude and never had a bad word to say about anyone. He never swore or used foul language. Beaver is survived by children, Devven, Andrea Rea and Doug, two sisters Judy and Connie.